Marines Jungle Training At Kahuku - USA Patriotism! 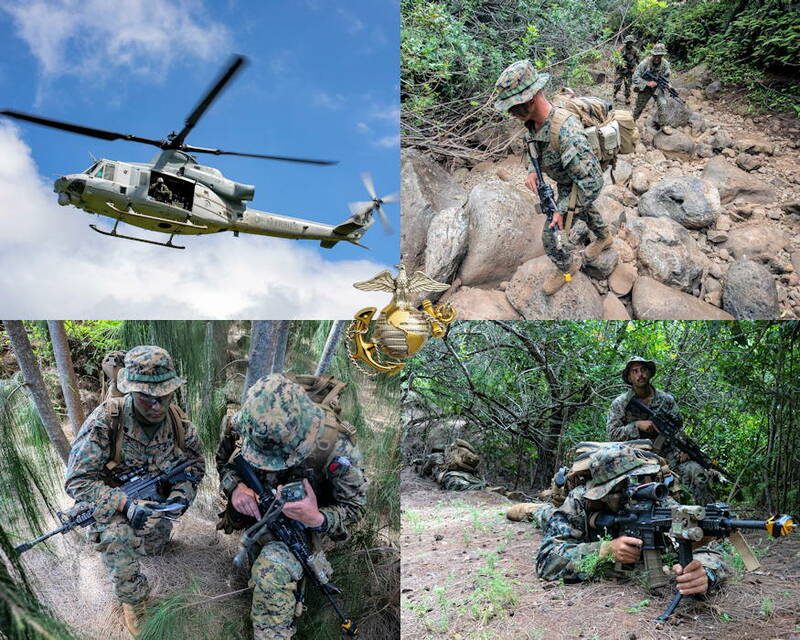 March 20, 2019 - U.S. Marines with Echo Company, 2nd Battalion, 3rd Marine Regiment conduct various jungle training ops including ... aerial reconnaissance utilizing small unmanned aerial systems and helicopters; establishing a patrol base to conduct jungle patrols; and, radio communications at the U.S. Army Kahuku Training Area situated on the slopes of the northern end of the Koolau Mountain Range on Oahu, Hawaii. This jungle themed event was part of the battalion’s training event, Exercise Bougainville I, an annual training exercise that strengthens pre-deployment readiness.